The Scorpions can be seen performing their 1984 classic, “Rock You Like A Hurricane”, at Spain’s Resurrection Fest in a newly-available video from producers of the July event. The 2018 edition of the annual concert in Viveiro, Lugo also saw sets by KISS, Megadeth, Ghost and Tremonti, among others. 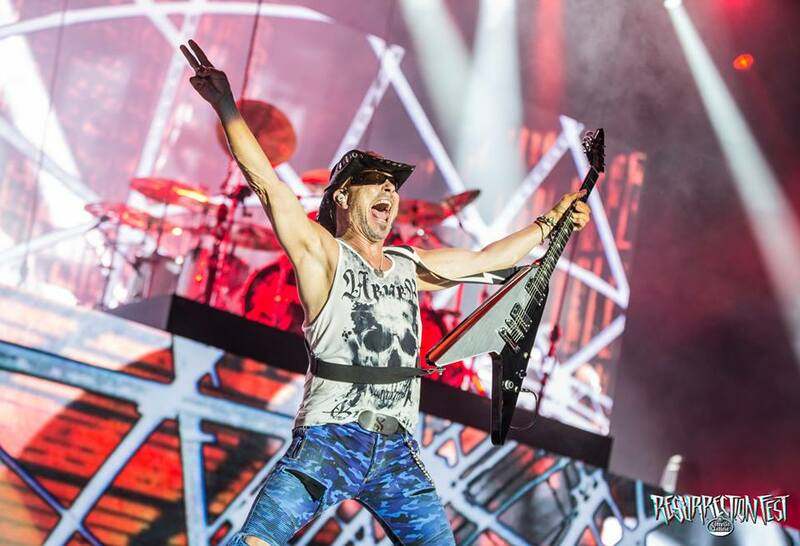 The Scorpions just completed their 2018 live schedule with a pair of shows in China last week. The band made headlines recently when they were forced to cancel a November 10 slot supporting Def Leppard in Sydney, Australia after singer Klaus Meine dealt with some vocal issues. The Scorpions will return to live action when they appear at the Choctaw Casino in Durant, OK on January 26.